Even though the programming language has been around for nearly three decades, Python continues to ride a wave a high popularity throughout the industry. Developers love the language because of its flexibility and brevity, making it easier to write great code. Tech companies want software engineers with tangible experience in Python for a wide range of application types. Let’s take a closer look at Python and how to take advantage of its popularity to send your career to an even higher level. If you work in another area of IT, a copious number of jobs just might turn you into a programmer! In addition to being simple to learn, Python also makes it easy to write tight code. In fact, some studies note using the language cuts development time by up to half. This is one obvious reason companies are turning to Python in greater numbers everyday. It supports many styles of programming, including object-oriented, functional, and procedural. A wide array of libraries exist to support machine learning as well as data analysis and visualization – all vital features in an IT industry increasingly impacted by data science. Once again, this is yet another reason for Python’s expanding popularity. 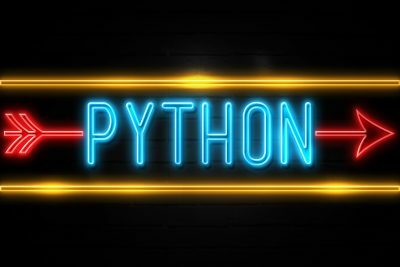 Python’s recent popularity growth is perfectly illustrated in a recent survey by the IEEE noting it as the most popular programming language for 2018. Everyone from software engineers architecting a highly scalable web application to data scientists searching for actionable information out of a big data store loves it. Needless to say, Python job opportunities abound in a wide range of industries. Companies worried about closing a skills gap in Python are paying a premium for talented programmers experienced in the language. Of course, software engineer and developer are two of the typical job roles for Python. Data scientist and data analyst are two other roles where Python skills attract interest from potential employers. Salaries for Python programmers reflect the high demand for experience in the language. A Senior Software Engineer with Python experience can earn an annual salary well into the six-figures, with an average 2018 salary close to $111,000. Available jobs remain plentiful, as a recent survey noted a doubling in demand from Q3 2017 to Q2 2018. Ultimately, learning Python simply helps keep your tech career trending upwards. Open to a new job? When you need additional advice on building a great career in the tech world, speak with the knowledgeable recruiters at The CERES Group. As one of the top technical staffing agencies in New England, we know the companies looking for talented professionals like you. Connect with us as soon as possible!